My name is Mason Ludwig. I am 15 years old and from North Branch, MI. 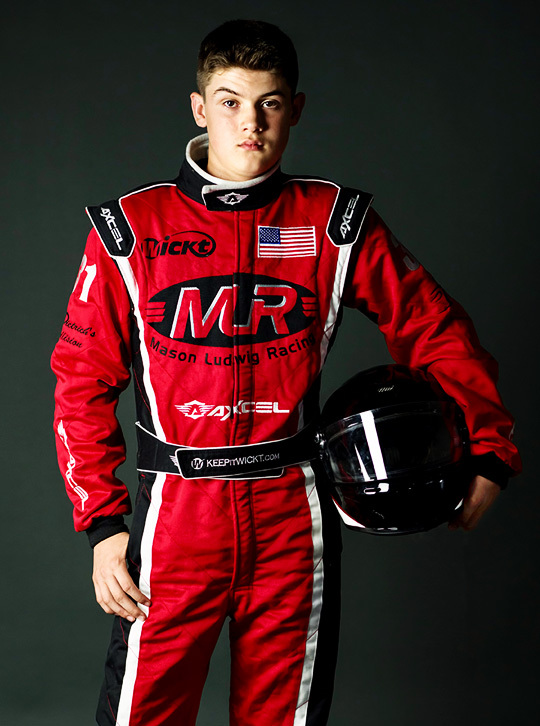 I began racing go-karts in 2010 when I was 7 years old. My parents noticed that I have a natural talent for driving. When I was just 6 years old, I was racing around our cow pasture with my dad in his bump-n-run autocross cars. He had two cars, he drove one and I drove the other. I have set goals for myself that ultimately will lead to making racing my career. I have a true passion for racing and driving and am excited to see what my future holds.